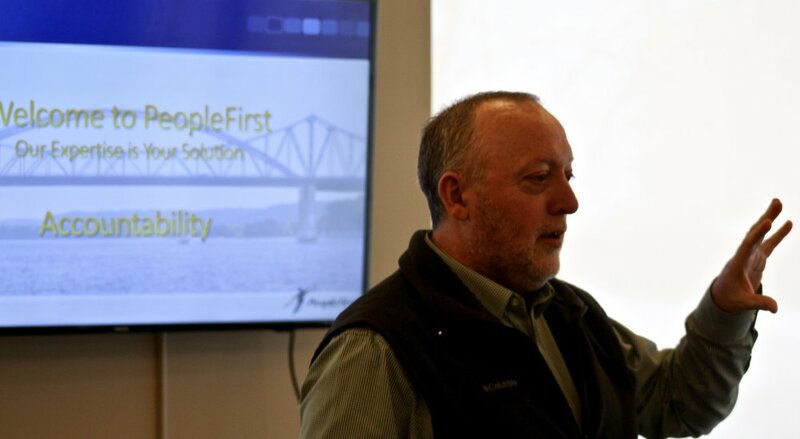 Proud to be located in scenic La Crosse, WI, PeopleFirst HR Solutions provides customized human resources and coaching expertise to companies that believe their people are their most important asset. With our experienced managing partners and a strong network of professional affiliates stretching from the Twin Cities to Milwaukee, PeopleFirst serves a diverse and broad breadth of businesses that range from small to large, start-up to long-established, across all industries. Your business and your team are unique. We take a personal approach in working with our clients and strive for long-term, trusting partnerships. We evaluate your business needs and customize an HR solution to address your challenges and grow your success. Human resources issues and opportunities span many functions and we are prepared to guide you through them all. Our suite of solutions includes compassionate career transition, expert custom coaching, creative leadership development, search & recruitment, as well as strategic and tactical human resources expertise including organizational development, compliance, employee relations, and compensation & benefits. We also offer a broad range of Interim Leadership solutions. Today more than ever successful businesses understand that their people are the heartbeat of their organization. Leading and developing diverse employee teams can be challenging and complicated, but our expertise and knowledge spans many years and covers the full range of human resources issues. The PeopleFirst team is here to serve as your strategic partner in building organizational effectiveness.